It has been 73 years since the pogrom named “Razzia” (Raid) by its perpetrators took place in the northern Serbian city of Novi Sad. In January 1942, the Hungarian occupation forces, which had been present in the region for 10 months following the invasion of that part of Serbia, committed gruesome war crimes. The Raid of January 1942 remains the most atrocious barbarity committed by Hungarian soldiers and gendarmerie in the region. Months prior to January 1942, Hungarian authorities as well as ethnic Hungarians, who have never been either persecuted or wronged before the Second World War, spread rumors that January would be a bloody month for the civilian population, mainly Serbs. The Jews were also stigmatized as supposedly helping plan the Serbian uprising against the occupiers. Of course, none of this was true. The main idea of Miklos Horthy in Hungary was to decimate the numbers of the majority Serbian population and obliterate all the Jews, and then loot their property. Doing so would change the ethnic configuration that would be more favorable to the Hungarian minority. That January of 1942, the Raid was carried out against the civilians in the surrounding villages. It started on Sunday, January 4, 1942. The Hungarian state first annihilated all the intellectuals — both Serbian and Jewish — in the villages nearby Novi Sad. Then they turned against other civilians, mostly tradesmen and farmers. Entire families were murdered in cold blood and thrown under the ice of the river Tisa. The temperature those days fell to 30 below zero Celcius, so the Genocide perpetrators used mines to create a hole in the ice into which they tossed civilians, either dead or alive. This massacre lasted for two weeks until January 19, 1942. Once it was over in the countryside around the city, where the small Jewish community was annihilated and the Serbian population terribly decimated, the culprits designed carrying out the Genocide in the city itself. On January 20, 1942, the city of Novi Sad was cut off from the rest of the world. Nobody was able to leave the beleaguered settlement. The next morning, Hungarian patrols composed of gendarmes and soldiers inspected houses and personal documents. The same occurred the following day. The leading officers were dissatisfied about the results. Checking documents was not enough. They wanted a pogrom — rivers of blood on the streets. That is what they demanded happen on the third day. And so it was. The terrible January 23, 1942 was the day when a wholesale genocide was unleashed in the city. The temperature was around -30° Celcius. In order to conceal the total count of those who were destined to perish, the occupation troops broke the thick ice on Danube surface at the river beach named Strand and placed a wood plank leading to the hole. The ordinary citizens, mostly Serbs and Jews, were driven to the plank and thrown alive under the ice. The small children were tossed into the air to fall on the bayonettes and then be pushed into the freezing water. This was done in the sight of the parents because the perpetrators drew great pleasure in watching the suffering of the powerless parents. Meanwhile, the unleashed Hungarian troops raged in all corners of the city leaving the dead in the streets, in the yards and in private homes. Later they sent trucks around the city to pick up the bodies and transport them to Strand Beach. Overnight the bodies were dumped into the river. All the documents were destroyed, bodies were disposed of and no trace of crime remained other than deserted homes and quarters in the city. It is estimated that over 5,000 citizens were brutally murdered in the so-called Razzia. Their homes were looted, their earrings and rings were cut off of their hands and ears and pieces of bodies, hair and pools of blood remained on the snowy streets. The world has never seen such an atrocity before. If the massacre continued, the entire Novi Sad would have been annihilated. It remains unclear as to why the sudden order to stop it arrived. Some ascribe it to energetic protests by a Hungarian MP Endre Baychy Zhilinsky. Or perhaps the head of the Hungarian occupation police (which for the most part did not participate in the atrocities other than inspecting the houses for illegal weapons) protested against the “incidents” committed by unleashed Hungarian military and gendarmes? 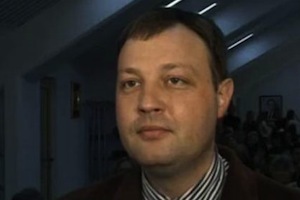 Also, Horthy’s god-son Nikola Dragoylov was murdered on the street. Could it be that he received the news about that and his stale conscience was awakened? Whatever the case might be, the pogrom was stopped. But the objective had been reached: the number of Serbs was drastically lowered since they had always been the ethnic majority in the city, unlike the ethnic Hungarian minority. Also, the Jewish community had been decimated. Besides this, the anti-Nazis of Russian, German, Hungarian and other descent were also obliterated (Novi Sad has always been an ethnically mixed city). Following World War II, the facts related to Razzia 1942 have been systematically marginalized and deprived of context. For the majority of citizens this was just a tragic event, but without awareness of the causes and perpetrators. The book “Genocide Revealed” has aimed to set all those records straight and has come as the result of a long-term battle against oblivion and marginalization of the victims. For that reason, a group of citizens in Novi Sad, led by the author of the aforementioned book and students, organized The March of the Living under the motto “Danube looks at you through their eyes”. The marchers arrived at Strand beach on January 23, 2015, around the time when the order came for Razzia to stop. The participants said The Lord’s Prayer and the Jewish prayer Kadish, and then the president of the municipal chapter of the Holocaust Memorial Society, Aleksandar Gabona, read the poem “Danube”. The total count of civilian losses in the Serbian region of Backa, which Horthy occupied in World War II, amounts to around 100,000. The verdict also established that the Hungarian regent was responsible for the death of over 3,000 Serbs in Novi Sad Razzia 1942, as well 1,363 Jews, 56 Hungarians, 31 Croats, 23 Germans, 22 Russians, 21 Slovaks, 8 Ruthenians, 5 Czechs, 4 Slovenians, 1 Bulgarian, 1 Greek, 1 Italian, 1 Romanian and 1 Muslim. The verdict says that it is not against the Hungarian people. Rather, it has individualized the crime and has pointed out the main perpetrator whose speedy rehabilitation has been going on unabated in Hungary. If this verdict had not been passed this year, Horthy would have most likely remained a war criminal with no sentence in the post-World War II history. Aleksandar Veljic was born in Belgrade and graduated from Sixth Belgrade High School with a librarianship major. He has lived in London, studied at Francis King School of English and attended Ambassador College in the United States, majoring in English literature. Alexander returned to Serbia in 1996 and embarked on a close examination of the little-known World War II crimes committed by the Nazi Germans and their allies in the former occupied Yugoslavia. His painstaking research has resulted in several works on the genocide against Serbs, Jews, Roma, Slovaks, Ruthenians, Slovenes, Russian emigrants, and anti-Fascists of German, Hungarian, and other descent. After 70 long years, scores of UN files on Hitler’s collaborators have been made accessible to the public. These files are a thunderous echo and corroboration of the charges previously laid out in careful detail in my book, Genocide Revealed. Adolf Hitler greets his ally, Miklos Horthy. The most prominent name on the UN list is Hitler’s first European ally, Miklos Horthy. As exposed in Genocide Revealed, Horthy was the first European leader to break sanctions against the Nazi regime. He extended a friendly hand to Hitler in the hopes of creating an ethnically pure Greater Hungary and restoring his country’s pre-World War I glory. The UN Convention on the Prevention and Punishment of the Crime of Genocide was adopted in 1948, while Horthy was still alive and well. However, just like his faithful companions Shandor Kepiro, Chatary, and scores of others, Horthy was never held accountable for his crimes against humanity. He died in 1957 in his exile in Portugal. Article 4 of the UN Convention states that war criminals are liable “whether they are constitutionally responsible rulers, public officials or private individuals.“ In Horthy’s case, he was a high profile statesman who remained a faithful ally to Hitler to the very end, while exterminating non-Hungarian populations in the areas which he occupied under Hitler’s auspices: southern Slovakia, Romanian Transylvania, the Ukrainian Carpathian region, northern Croatia (Medjimurje), part of Slovenia (Prekomurje) and northern Serbia (Bachka region). Horthy’s evasion of international justice violates a precedent to UN Convention, the Moscow Declaration, signed on October 30, 1943 by the United States, the United Kingdom and the Soviet Union. The Declaration ruled that Nazi war criminals were to be sent back to the countries in which they committed their crimes, in order to be tried and punished according to the laws of those countries. But Horthy was never sent back to the scene of any of his war crimes. This tragic fact was the driving force behind the publication of Genocide Revealed two-and-a-half years ago. The book was a bold precedent to the recent UN release, and served as an indictment against Horthy for his gruesome transgressions. While the UN documentation remained closed to the public, the Holocaust Memorial Society in Serbia searched far and wide for every shred of evidence of Horthy’s crimes, even as a memorial was being built for Horthy in his home country. The content of Genocide Revealed was based on over seven years’ worth of this research, which was pulled from primary sources across Europe. Every last member of the Davidovac family from Churug, Serbia was exterminated in January 1942. Horthy’s crimes in the former Yugoslavia were so gruesome that a recent Haaretz article made a particular note of the extermination of innocent Serbian and Jewish civilians. The crimes detailed by Haaretz (and in many other major news outlets) have been vividly portayed in Genocide Revealed: an unprovoked invasion of the former Yugoslavia (Serbia, Croatia and Slovenia) in 1941 and ensuing “massacres, murders and torture.” The concentration camps that Horthy’s Nazi Hungarian state established for Serbs and Jews have been listed by name, particularly Sharvar death camp, which claimed over 8,000 Serbian lives. The book also describes the treatment of Serbs and Jews in so-called “labour battalions,” in which they were sent to the Eastern front to aid in Hitler’s onslaught against the Soviet Union and perished in large numbers. Deportation notices sent to the remaining Jews in April 1944—effectively death warrants that landed them in Nazi death camps—were also published in Genocide Revealed as corroborative evidence, along with various other documents and photographs that had never before seen the light of the day. The deportation of Novi Sad Jews (April 26, 1944). Another event in the UN documents garnering international attention is the Novi Sad massacre of January 1942. The documentation describes scores of people stranded along the Danube river as they were shot and thrown under the ice. 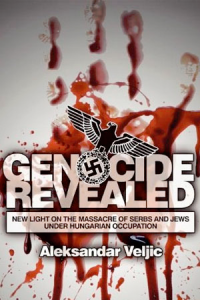 Genocide Revealed was the first book in English with such detailed accounts of the Novi Sad genocide, including names and photographs. The identities of the victims in Novi Sad and surrounding villages compiled during the book’s research were sent to the U.S. Holocaust Memorial Museum, where they remain filed as evidence against Horthy and his genocidal troops. Also quoted in the book is a letter from Hungarian legislator Endre Baychi Zhilinsky to Horthy, in which the former points out the consequences of the “Great Raid“ and claims that Hungarian state organs, the gendermerie and military, were responsible for this ethnic cleansing. Horthy ignored the letter. Massacre victims line the Novi Sad streets (January 23, 1942). Genocide Revealed rightly published that Horthy’s troops murdered over 4,000 individuals, though the Holocaust Memorial Society suspected that the number of victims was higher. Its suspicions were validated when, last year, a long-lost piece of evidence was discovered. The evidence, a book published by the Novi Sad Museum, reported that around 5,000 Novi Sad residents were brutally murdered in January 1942, while the January Great Raid in the surrounding villages claimed around 20,000 victims. This new evidence corroborates Genocide Revealed, which claimed that at least 12,763 victims perished during the Raid’s bloodbath along the Danube and Tisa rivers. A pile of corpses at the Orthodox cemetery in Novi Sad (January 23, 1942). Describing the Novi Sad massacre, a document in the UN archive says, “Among the victims were a great number of children, even babies, whose mothers held them firmly to their breasts in the hope of protecting them from death and from the cold.” The names of those children have been registered along with the names of their murdered family members by the Holocaust Memorial Society in Serbia. The Society will send those lists to the UN to complement the newly revealed files. In researching and writing Genocide Revealed, I was particularly touched by the fate of innocent children. The book is dedicated to them, along with all victims of genocide. While nothing can undo the terror of their final moments, the victims of Horthy’s genocide have been given some small measure of justice by the revelation of their fate to the public. The evidence, now in plain view both in my book and in the UN archive, delivers an unassailable worldwide verdict against one of the most gruesome murderers in the history of humankind, Miklos Horthy.